1. 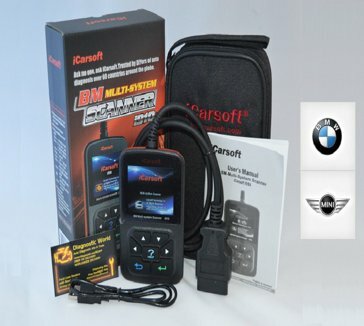 THE FASTEST FULL COLOR, 2.8” LCD SCREEN PROFESSIONAL BMW Multi-system Scanner! 3. Supports BMW between 1997 to 2016 inclusive & supports Mini between 2001 & 2011 inclusive. ·View & Graph Live Data in Color Graphing and blazing fast refresh rate for better graphing and live data readings. The supported system includes Engine, Auto Transmission, ABS, Airbag, Air condition, Instrument cluster, Elec. immobilize system, ect. When ordering please select the version you want.